We offer support to ship owners, ship operators and other shipping related enterprises for all rules and regulations for merchant ships – wherever they may trade. We are constantly monitoring the world-wide merchant maritime sector for national- and international regulations and their impact to our customers. 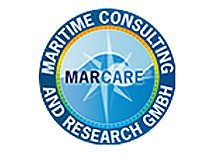 MARCARE® Maritime Consulting and Research GmbH was established in Bremen in 1995 and transferred to Bremerhaven in July 1998.